Interested in learning how to make money with NHL Handicapping? Tired of losing money betting on the NHL? Frustrated that you seem to keep ending up on the wrong side of lopsided blow outs or tired of getting upset by the underdogs on the road? Would you like a proven strategy that works to identify the greatest profit opportunities in the NHL while helping you avoid the “trap” games? This program can do it all… and more. 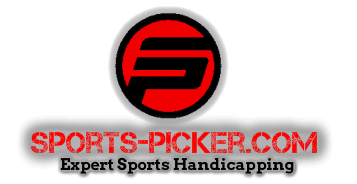 First off, if you are interested in making money betting on hockey and not just putting a few bucks on the line for the thrill of routing for the home team, then you are in the right place. This report will provide for you the fundamentals needed to identify the greatest opportunities to profit from NHL betting allowing you to consistently bank extra cash by picking games with the greatest profit potential. Besides just the money it’s a great feeling to know that you are making the smart plays, backed up with both a quantitative mathematical approach and a proven qualitative set of strategy rules. Once you start basing your NHL picks on this proven strategy you will move from being a sports gambler, basing picks on gut feel and intuition to becoming a sports Investor, basing picks on a proven system finding value opportunities and making plays sound investment strategy. Just like a Wall Street investment manager makes informed investments in stocks, your plays will investments in Sporting events. NHL offers one of the most interesting and profitable opportunities for Sharp Sports Investors. The key difference between NHL and many other sports is the way the sports books post their lines and offer betting opportunities. The main betting lines in all NHL games are set at Money Line, 3-way Money Line and Puck Line. You only need focus on a limited number of outcomes. There are also opportunities to bet under/over, period lines and live betting. The majority of this report will focus on the first 3 types of bets as they are the most common, I will cover some strategy for the others at the end. This report will focus on both a quantitative approach to analyzing the lines as well as an overall qualitative approach that applies to all situations. This system is designed to give the average person a winning sports investment strategy. It is not overly complicated. From my experience in most situations when it comes to profitable sports investing I have found that less is more. Focusing on the most important factors that impact wins and losses is far more effective than spending hours poring over stats that may or may not have an impact on a given game. In the end the randomness of sports tends to outweigh many of the less important stats and cancel much of the analysis as useless noise. This report focuses on a fundamental understanding of how to earn a consistent profit from sports investing with an acceptable amount of time investment in research and analysis. If you spend the time to learn the system you should be able to apply the concepts and identify at least one value opportunity per day by spending no more than 10 to 20 minutes on research. This is a 60+ page program with detailed case studies and examples of how to do both quantitative analysis and qualitative analysis. This is the same system I base my NHL strategy on and use to consistently beat the books. This is the first time i have offered my system to the public. Make a one time investment of $99 and this system will give you all the fundamentals to consistently earn a profit for life. Note - This program focuses on NHL betting but many of the fundamentals and concepts can be applied to MLB and other Sports.